Contains one photo, retired player numbers, Stanley Cup championships, 4 cards, and nameplate. Approximate outside dimensions are 18.5" by 22.5". Double matted in black and team color. Frame is solid wood with 2.5mm Tru Vue Glass. Comes with protective corners and shrink-wrapped. 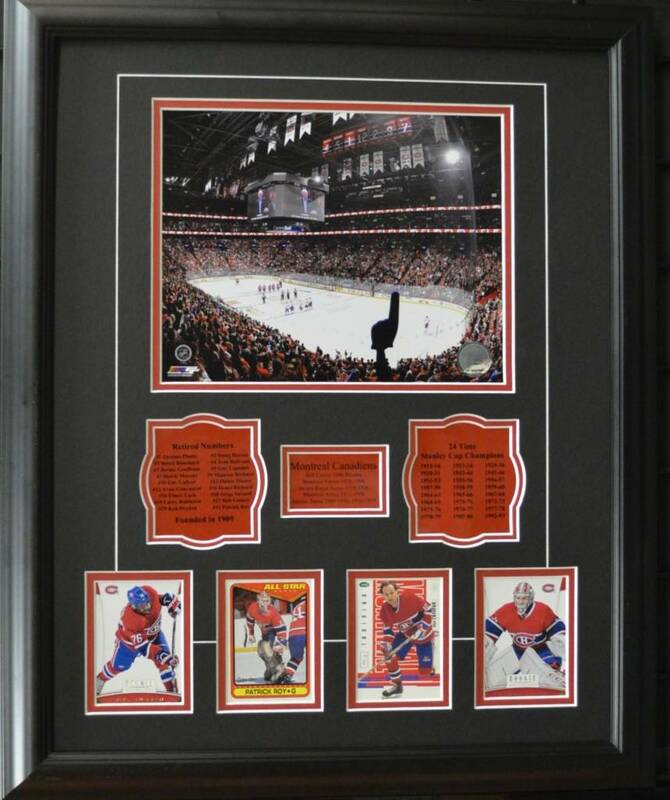 This framed piece highlights all the Canadiens to have had their number retired. Includes a complete list of all the teams Stanley Cup Championship seasons. Also each framed piece will include four player cards of past and present greats, and stadium photo.